The weather is changing and there is nothing better than spending time outside with friends and family. But what if you don’t have a porch or your porch is in disarray. We have some budget friendly porch ideas. You may want to clear out those cobwebs and fix that porch swing. Spruce your space up without going over your budget. First you will want to clear off your porch. Make sure you toss all of the garbage and set your possessions aside that you want to keep. Go through and dust everything from floor to ceiling. This is the time of year when allergies are in full force. You may want to cover your hair and wear a dust mask. Don’t forget to get into the crevices to remove any debris stuck. Once that is done get a bucket and a sponge with hot, soapy water, wash the walls, sills, doors, and frames, and mop the floor. 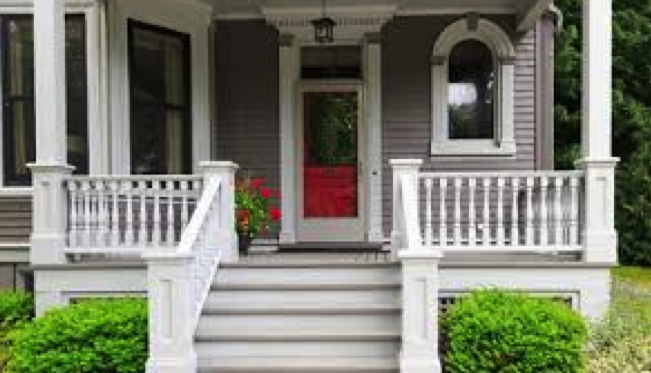 Once your porch is all cleaned and prepped for paint choose a quality paint and primer. Paint is one of the easiest ways to spruce up your porch and create curb appeal. Now that you have painted and created a clean crisp porch, it’s time for some furniture. If your budget allows you can discard any damaged furniture. Purchase some new benches or seating for your family and guests. If it does not allow, you can try and refurbish your old furniture with some touch ups or try purchasing some second hand. Don’t forget rugs and some decorative pieces to create a welcoming feel to your porch. There is nothing better than creating a gathering place that feels inviting and like home. You can add some low-cost lighting on your porch to create some charm. If you are able to add some recessed lighting that will create a beautiful glow on your porch. Plumbtile carries many different lights you can use on your porch. There are so many ways you can upgrade your porch without breaking the bank. If you have any questions visit Plumbtile or contact one of our experts to help you.